Remember when you were actually excited to see the new telephone book? Set by your front door or thrown on the drive way…stuffed in your mailbox or dropped off by someone earning a little extra cash? Do you….well maybe you forgot the thrill or you are too young for the experience. Whatever…how often do you use it today (Other than as a weapon or for insulation)? Most likely you find what you need on a device; smart phone, tablet, computer. Do you want to stop the agony of reserving the space on a shelf or at the recycle facility? You can stop delivery of the Big Book at yellowpagesoptout.com It wasn’t too tricky to complete the request. Let’s touch base after next spring delivery season see if this works. How about Junk Mail? Another favorite that I can’t recall being thrilled about ever since I realized I was not going to win the Publisher Clearing House Sweepstakes no matter how many magazines I ordered! Talk about a waste of resources; mostly my cash! Mailstop is an Iphone app where you take a picture of the Junk Mail and your opt out choice will be submitted to the issuing company. This seems to apply mostly to catalogs, will try it on other junk. Catalogs are a start, just think how many trees we can save….or how energy at the post office. How can it be any easier? Hawaii Island, aka the Big Island is recognized as one of the top islands in the world by those whose leisurely travels turn vacations into homes. The North Kohala district shows how true this is; its natural beauty entwined with the aloha of old Hawaii is a portal to a paradise past. 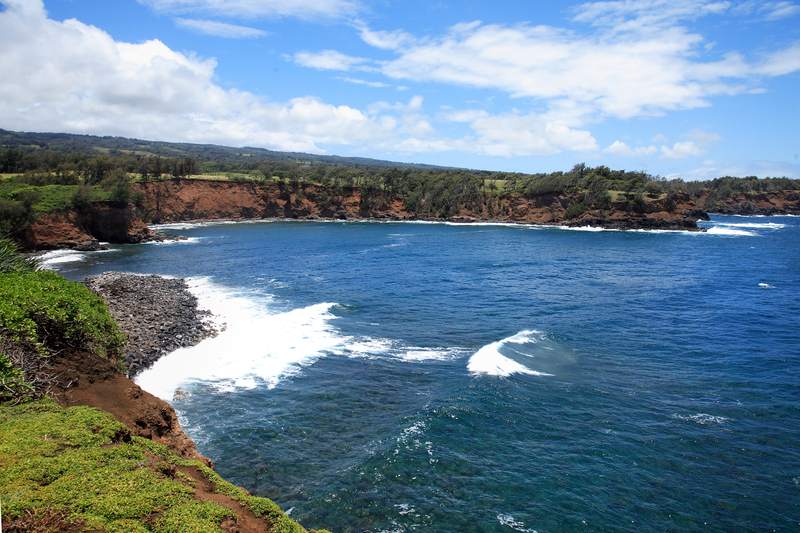 North Kohala will astound with its beauty and its history. Driving through this vision of Old Hawaii, almost to its apex at Pololu Valley one will be surprised to see how a modern version of home has united contemporary architecture with this tropical lushness. Seattle architect, Jim Culter of Cutler Anderson designed The “Ohana House at Niuli’i” . It is one of seven homes annually selected from the most interesting of homes worldwide to be designated a Record Home (Architectural Record 2007). The simple lines of the home contrast with the richness of the setting. You have every classic big island view; ocean, cliffs, mountains, pastures and valleys in land that mixes rolling pastures and shady groves of trees; wind sculpted ironwoods, Palms, native Ha’o and ancient Hala groves along the rugged North Kohala coast. Adjacent Keokea Beach Park has a black sand ocean entry where Keiki swim at the historic “canoe landing”. This also serves as the launch to a very good “secret” surf spot and, in the right conditions, excellent snorkeling, diving and fishing. Its ocean cliffs are favored among the Ulua fishermen. This is one of those spots that feel like Old Hawaii….really. The property if offered in three configurations. The entire 72+acres (3 tmks) and home asking $8.2, the home on 24+ acres is $4,600,000, the two lower lots sold together at $3,600,000. If you are curious about this property, go to http://www.NorthKohalaOceanfront.com or look at MLS#s 254130, 254131 and 254132. If you meet certain criteria you could qualify for HARP 2. This program is less rigid than you may believe. You may not need an appraisal . HARP 2 requires less income documentation. You do need to be current on your payments; no late payments over the past six months and no more than one late payment in the past 12 months. The main requirement is that your loan must have been sold to Fannie Mae or Freddie Mac prior to May 31, 2009. To see if you have one of theses loans go to http://www.FannieMae.com/loan lookup/ or http://www.FreddieMac.com/corporate. You may also call either 800-7fannie or 800-freddie between 8 am and 8 pm eastern time.